Upcoming Event with Congressman Tim Walberg! Please join us for donuts, cider and good company as we kick off the fall season. 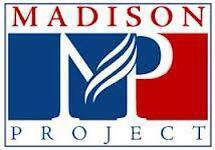 I have recently been endorsed by the Madison Project, and Michigan Pork Producers Association! I am extremely proud to announce my most recent endorsements. All of these organizations are highly engaged in our community and I am thrilled to have their support. Thank you so much to everyone who attended my fundraiser at Quimby’s last Tuesday. We had a banquet hall packed with friends and supporters, as well as people I’ve met recently on the campaign trail. I want to thank the Bates and Pienta families as well as Quimby’s, and the rest of my Host Committee sponsors for helping to make my fundraiser possible.